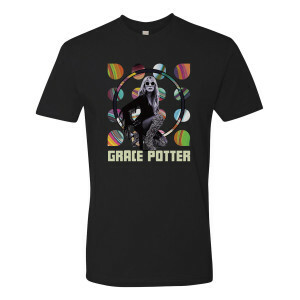 Black premium cotton crew tee featuring the Grace Potter Kneeling design on front. I LOVE it! I'm actually wearing it right now. Comfy and hands down the coolest shirt I own.